In the last couple of year I have created numerous add-ons and while researching and developing these add-ons I encountered all sorts of different issues that where not always very straightforward to solve. Blender has of course extensive documentation on its Python API and a helpful community as well but sometimes it nevertheless took quite some time to figure something out. So I decided to document these issues and bundle then into this book, where you will find quite a collection of solutions to commonly occurring issues. Some are obvious once you see and understand them, others showcase subtleties that often prove to cause trouble in unexpected places if you are not aware of them. I have done my best to provide not just solutions but accompany them with detailed explanations as well. Also, where appropriate I have included references to all sorts of documentation, often the most relevant spot in the Blender Python API docs, just to save you from an endless hunt for the right information. An index of terms is also provided. This book is for add-on developers who want to go one step further and add a professional touch to their creations or want to add functionality that isn’t so straightforward to implement. 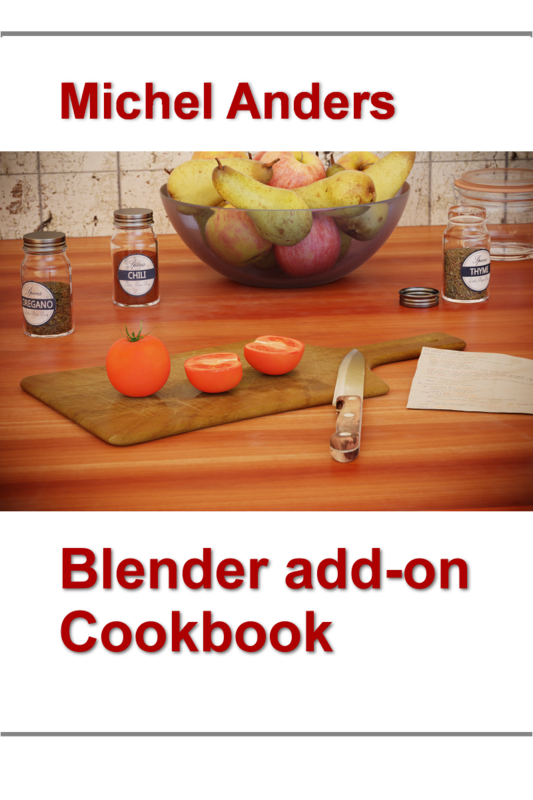 You should have a good understanding of Python and have some knowledge of writing Blender add-ons already. 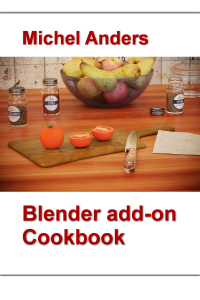 This is a cookbook in the sense that it provides small pieces of code that are aimed at solving a particular problem but if you want a more general introduction you could consider my book Creating add-ons for Blender. The book will be available from BlenderMarket and Smashwords early spring 2017.